Are you bore by reading WhatsApp tricks again and again. Or you are looking for some fantastic features of WhatsApp. Then this post is for you. 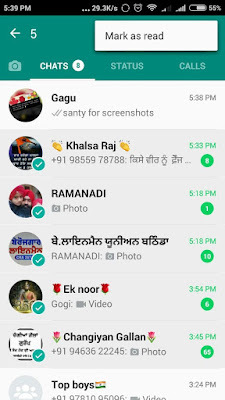 I have listed best WhatsApp tricks read one by one. 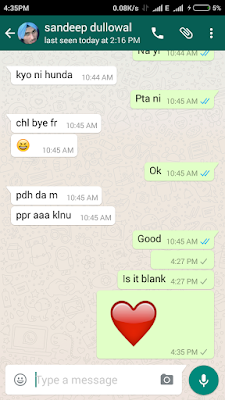 There is only one emoji (red heart) which is like a flash as given in screenshot and it will only work when you send only it. The company takes care user privacy. 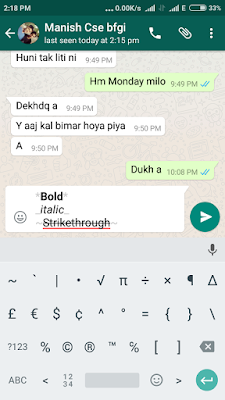 Recently WhatsApp applies encryption. All basic privacy settings are controlled by settings→Account→ privacy here is the full list of all privacy settings.Read recipient: it is blue tick show your friend to that you read his/her message. By default, it is tick mean everybody will know if you read his message. Off curse, you can’t find other side person read your message or not. For this untick Read receipts as shown in below screenshot. Hide last seen: want to chat with the second girlfriend and don’t want to inform the first gf hide your last seen. Follow screenshot steps. Again you can’t find another person last seen. Do you think this is crazy to send a message to me but not, in reality, here are some benefits? You can save a significant message, video, photo or any other data. You can see your own DP (Display profile) but without status. Transfer data between the computer and mobile phone. Now turn on your internet connection. 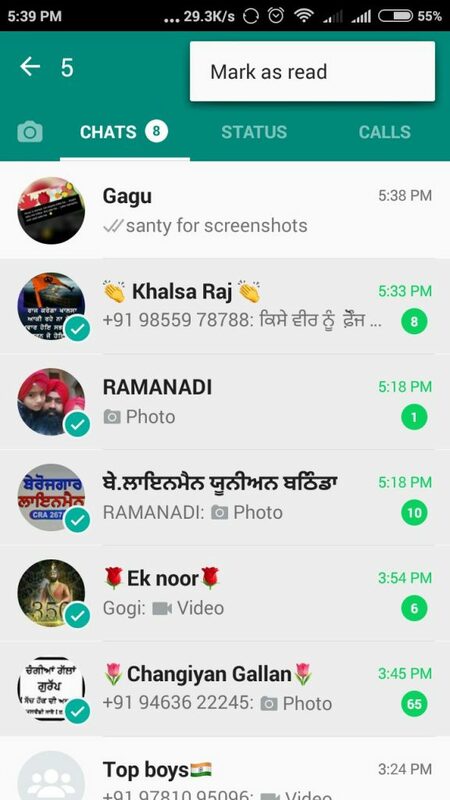 After that open whatsapp→contacts and refresh your contacts once it refreshed it will sync data from your recently saved number which you saved in the first step. 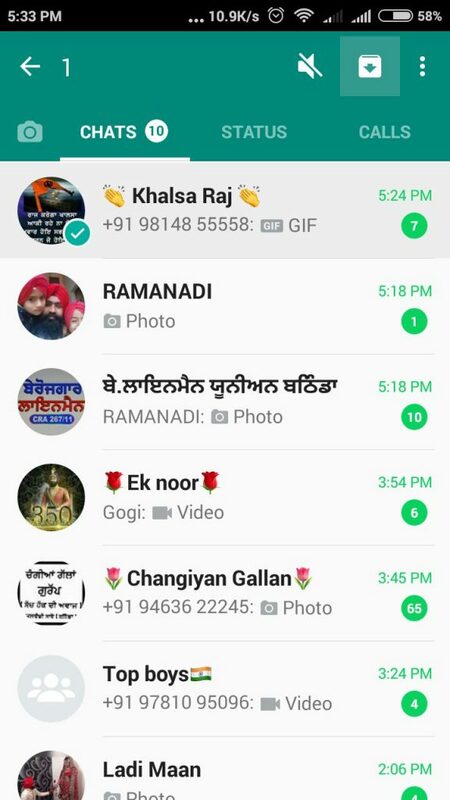 You will not find yourself in WhatsApp contacts so open contacts app and open your contact which you saved in the first step. 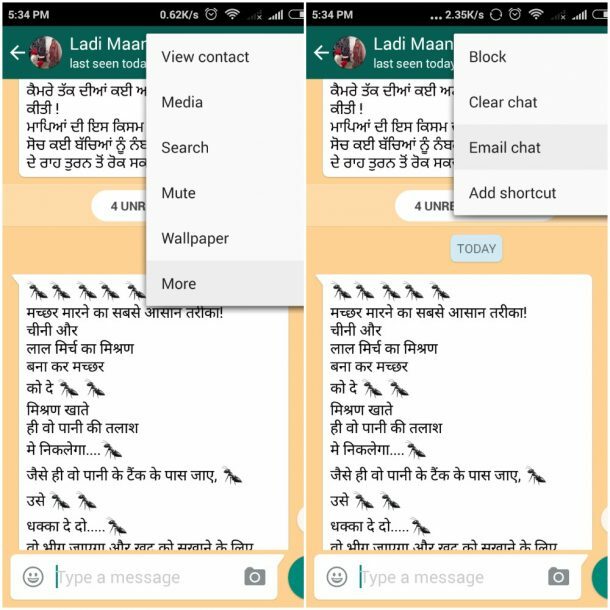 If no option doesn’t worry than click on message icon and chose WhatsApp messenger. Sure you will receive that type of images which are changed after downloading. Making your friend fool this is the best way. 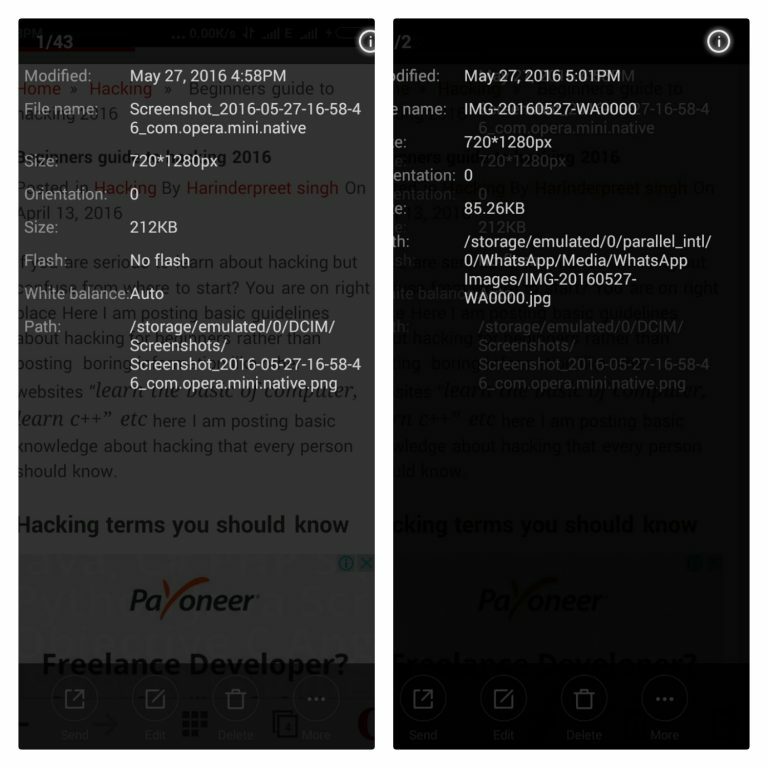 Download z-photo fake for chats (size: 3.02 MB). 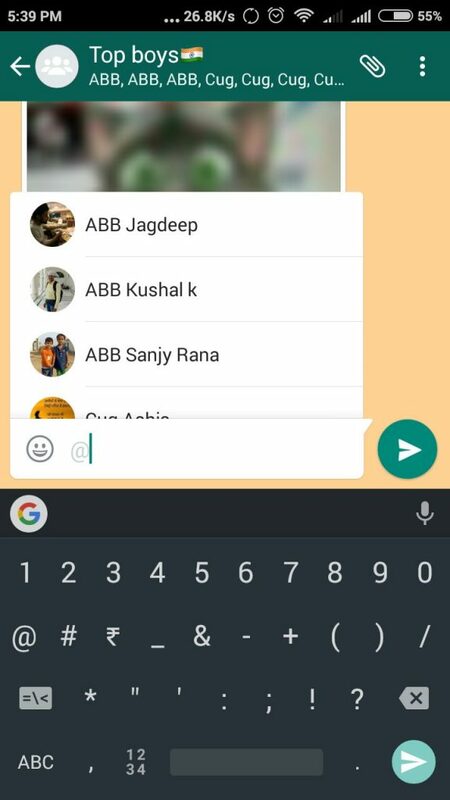 As users can't send empty messages on WhatsApp, we have developed this app to share empty or blank messages with your WhatsApp contacts. This is both fun and at the same time surprising to your friends. You can prank your friends by sending empty or blank messages. Using email chat you can read all message of a person without informing her. In the groups, there can be 256 persons it is difficult to message or chat with the one person but you can mention his name by typing @. It is same as we mention the name on facebook. This is a very cool feature by the company for heightening important line. The method is like the above-given method but you have know name of the app that is used for protecting WhatsApp. Generally, people use app lock to lock apps. Mainly in India where people make many groups just for sending entertainment videos, photos etc. In that case, you can read all messages at once using the mark as read option. Select your chats open menu from sidebar go to more and choose mark as read option. This is one of my favorite tricks Maybe you don’t know but WhatsApp compress photos and videos for better speed here I also add a proof of this to use this feature you have to dual use dual WhatsApp using parallel space. 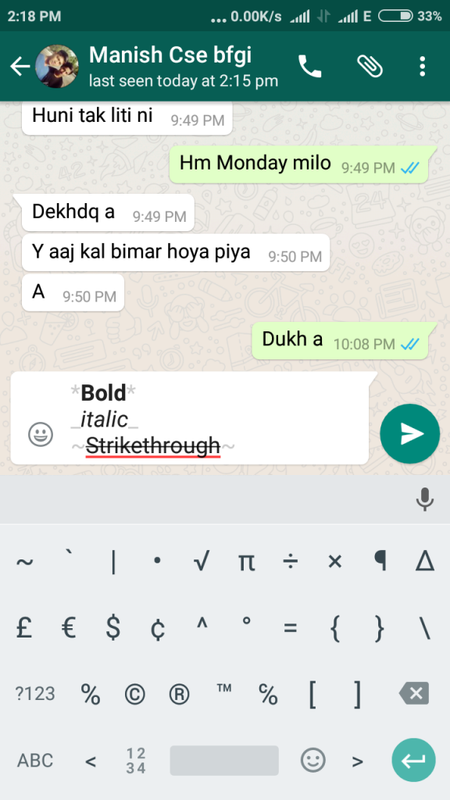 Note: If you don’t want to use dual WhatsApp then send it to your friend and say him to send you again. Sometimes our all pictures and video are not good to show someone or in or we want to hide all content from the gallery. For this just rename your photo and video folder place . Before starting the name e.x. 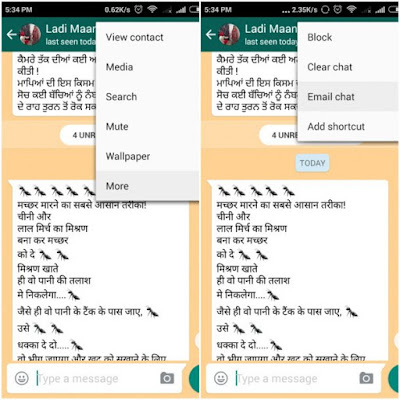 .whatsapp Images To gain images again chose menu in file manager and click on show hidden folders. you can also hide photos using Private Photo Vault app. If you want to bypass your girlfriend doubt then you can send her your fake location. Install VPN-like hotspot shield and enable it then send your location. Your location will fake it will depend on which country you are connected. 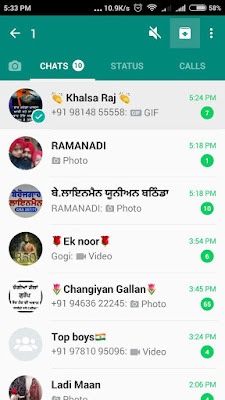 Hope you enjoy these WhatsApp tricks if you have any problem with any trick please comment here I will help you.